When former Secretary of State Colin L. Powell endorsed Senator Barack Obama on Sunday, most Republicans stepped in line behind Senator John McCain, declaring that the endorsement would have little bearing on the course of the presidential contest. “A real sledgehammer blow to an already staggering campaign,” declared Mike Murphy in a verdict that ricocheted across liberal blogs and helped torpedo any effort Mr. McCain made to minimize the event. Mr. Murphy is not just another Republican consultant. He was the chief strategist for Mr. McCain when he ran for president in 2000, a longtime friend and an adviser who offered consultations as recently as last summer. He also has a tempestuous relationship with the current leaders of Mr. McCain’s campaign, who have revolted at even the hint that he might join them. Now, with the contest in its final two weeks, Mr. Murphy has emerged as among the chief critics of the McCain campaign, offering advice and brickbats, one more obstacle for an already troubled campaign and a public manifestation of turmoil that has long marked the McCain world. At a moment when other former McCain advisers have been relatively silent, including John Weaver, Mr. Murphy has been extravagant in his criticisms and what Mr. McCain’s advisers describe as his second-guessing. Indeed, Mr. Murphy on Wednesday seized on the disclosure that the Republican National Committee had paid about $150,000 for clothes and accessories for Gov. Sarah Palin of Alaska, the Republican vice-presidential candidate, and her family. “This caper is gonna make for a long day at the office for the good folks at the RNC/McCain press operation,” he wrote on Swampland, the Time magazine blog, where he is a regular contributor, before offering some humorous advice on how they could fight back. (“William Ayers is a terrorist!” was pushback No. 4). Mr. McCain has told associates that he has viewed Mr. Murphy’s criticisms of his campaign — its advertisements, his selection of Ms. Palin and Mr. McCain’s aggressive manner — as an act of betrayal, the actions of a former friend seeking attention and a network platform. Mr. McCain was described as particularly incensed that one of Mr. Murphy’s platforms was MSNBC, which Mr. McCain’s campaign has repeatedly treated as an enemy. Mr. McCain has cut off all communications with Mr. Murphy, associates said. 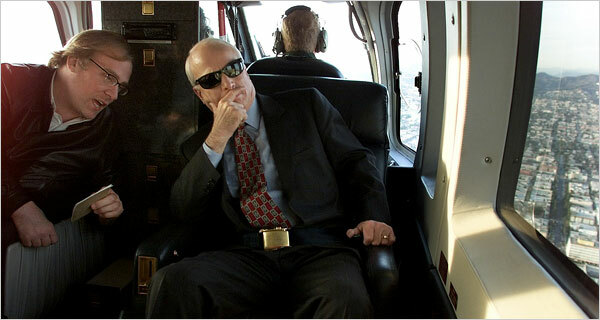 And McCain aides, including Steve Schmidt, a chief strategist who worked with Mr. Murphy on Gov. Arnold Schwarzenegger’s campaign for governor of California, have stopped talking to him as well, ignoring telephone calls or e-mail messages, according to Republicans close to the campaign. Mr. Murphy, in a brief e-mail comment, said that he was saying only what he believed, and that he still admired Mr. McCain. Still, at a time when Mr. McCain’s campaign advisers are already under an intense round of second-guessing, there is no shortage of Murphy associates who suggest that his criticisms, and those of other critics, have been vindicated. Whether he is right or not, Mr. Murphy has offered an informed criticism of how Mr. McCain has run his campaign, with an intriguing alternate-universe view of how things might have gone had they followed his advice. But Mr. McCain’s associates said Mr. Murphy’s running commentary was demoralizing and a distraction for Mr. McCain. Mr. Murphy has a reputation in Republican circles for self-promotion; in 2000, he provided to The Washington Post unusual behind-the-scenes access that detailed — and some rivals suggested enhanced — his role as a chief strategist in the campaign. Still, Mr. Murphy’s associates said he was saying on television what he would say were he in Mr. McCain’s campaign. Still, other former members of the McCain world have taken a different approach. Mark McKinnon, who stepped as aside as senior adviser because, he told associates, he did not want to be part of a campaign tearing down Mr. Obama, has kept whatever criticism he has to himself. Mr. McKinnon declined a request for comment.